View of Poggio Civitate looking beautiful on a summer's day. The central problem with the coverage, as astutely pointed out by Dr Kristina Killgrove, was the cultural Darwinism inherent in these posts- we in the present treat our infants well, so we can be nicely horrified by past cultures, and vilify and judge their decisions and choices. Yet, at the same time as the Poggio Civitate infant remains were being used as a bolster to our present superiority, a story was breaking in the UK that demonstrated the continuity of practice in the disposal of infant remains as non-persons. This story from Scotland outlined the facts that a crematorium in Edinburgh had been routinely misleading parents about the cremated remains of their children. The Mortonhall Crematorium told parents that no remains would be extant after cremation for them to scatter, as infants are too small to produce ashes for secondary burial. What happened was that ashes were produced, and then buried together in a mass grave over a period of 45 years. Although the placement of the grave was in a "Garden of Rememberance," the remains of neonates were treated distinctly differently from those of adults, and denied individual identity in death. The Mortonhall scandal is not alone: this article by Lynn Morgan outlines another issue of infant status in the modern world- the disposal of foetal remains as medical waste and curation as biological specimens, while there have been two cases of babies found in association with rubbish this year- one still alive after a 50ft fall down a rubbish chute and one found dead at a rubbish dump in Scunthorpe. Whether by distressed and unprepared parents or uncaring authorities, infants are still being treated in a different fashion to adult human remains in the modern world- and this is just in the UK alone! While it is great to see a site you work at in the international news, it would be even better if that news coverage was tempered by sensitivity to the otherness of the past and honesty about practices in the present. * Her baby was born on 11/08/12 and has been from the start a very happy and healthy little boy. Look! Isn't he gorgeous? By the way, I'm not saying that the mother (s) of the Poggio Civitate infant (or infants) didn't grieve over their babies- but I doubt they felt exactly the same way a modern mother would. ** I don't want to get into the interpretative debate about the context of the bones in detail- it would take this post away from a point about present-centrism, and I'm neither an osteologist nor a forensic taphonomist. Tuck's original presentation presented one hypothesis of disposal alongside rubbish, while Killgrove's response (see link above) suggested a secondary disturbance as responsible for the presence of the infant remains in the workshop. I am tempted to think there is room for a third point of view- looking not, as Killgrove did, to the later Roman world, but north to the European Iron Age. JD Hill's "Ritual and rubbish in the Iron Age of Wessex" presents a different way of thinking about deposition- recognising the incorporation of ritual into the disposal of animal remains, seeming rubbish, and humans. A recent article by Adrian Chadwick further develops the nuances of this argument. If the lines between ritual deposition and chucking away rubbish are recognised as blurred and complex, the infant remains from Poggio Civitate can be seen in a different light. 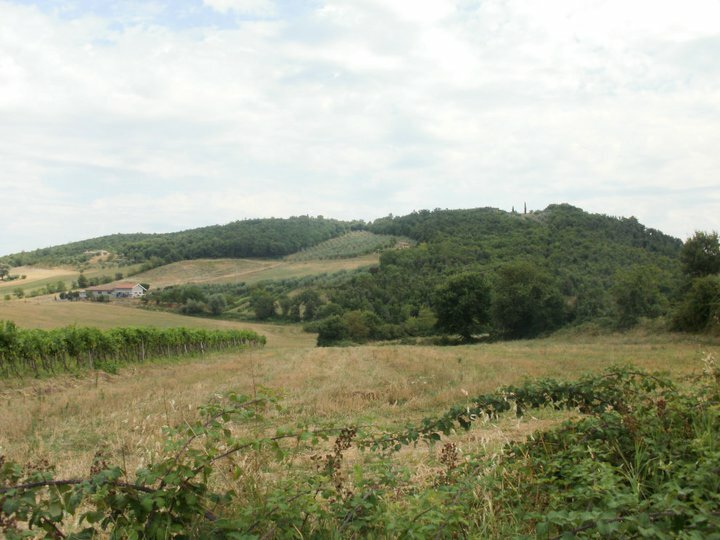 The systematic destruction of Poggio Civitate's Archaic complex certainly points to a hyprid form of deposition at a later point in the site's history. *** There is a debate here to be had about public, open access archaeology and sensationalisation, but that is another can of worms altogether- and one that, in the wake of the tragic death of Aaron Swartz, is also getting a lot of attention at the moment. Suffice to say, the public deserve better than incorrect, sloppy archaeological journalism as exemplified by the Mail. I know plenty of archaeologists who would be more than happy to provide such assistance as needed! Chadwick, A. M. (2012), Routine Magic, Mundane Ritual. Towards a Unified Notion of Depositional Practice. Oxford Journal of Archaeology, 31: 283–315. Hill, J. D. (1995). Ritual and rubbish in the Iron Age of Wessex. A study on the formation of a specific archaeological record. Tempus, Oxford.